Obituaries - Kain-Murphy Funeral Services-Serving Haddonfield, Cherry Hill, Haddon Heights, Haddon Township and surroundings. (nee McCracken) Passed away peacefully on March 25, 2019. Devoted wife of Dr. Stanley C. Kelley. 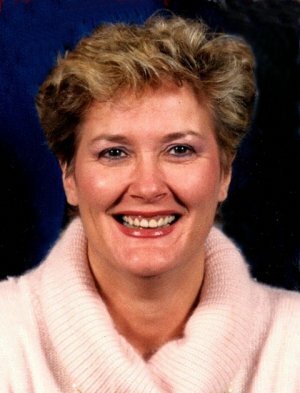 Mother of Kevin (Beryl) Kelley, Kim (Shay) Cowan, Kyle Kelley and Keith (Jeanine) Kelley. Grandmother to 7 beautiful grandchildren: Brian, Andrew & Morgan Kelley, Devon & Ally Cowan, and Stella & Everett Kelley. Patricia was raised in Crabtree, NC and moved to Woodstown, NJ as a teen and attended Salem High School. She went on to Rutgers Univ., graduating in 1958, earning a BA in English Lit. She taught 2nd Grade for years but left education and became a runway model while she raised her 4 children with her husband of 59 years in Cherry Hill. Pat was a passionate seamstress and was a small business owner. She traveled all over the world, and in her later years, she continued to sew and was a member of the American Sewing Guild. Her greatest joy was spending time with her family and friends. A viewing will be held on Friday, March 29th, 10-10:45 AM at Christ the King R.C. Church, 200 Windsor Ave., Haddonfield, NJ, where her Mass of Christian Burial will be celebrated at 11 AM. Interment Private. In lieu of flowers, the family requests donations benefitting a Rutgers Univ Scholarship Fund in Patricia’s name, may be made through: In Memory Of (www.inmemof.org) or to P.O. Box 5472, Charlottesville, VA 22905. (nee Schiavo) On March 23, 2019, age 91, wife of the late James; Beloved mother of James V. (Kathleen) of Boothwyn, PA, Marilyn S. Bonner (John) of Wilmington, DE, Richard G. (Carole) of Norwood, PA and Cheryl S. of Haddonfield; Cherished grandmother of 9 and Treasured great grandmother of 7. Mrs. Squadrito had been an active member of Christ the King Church including serving as a Eucharistic Minister. Additionally, she was devoted to her family and will be deeply missed. Mrs. Squadrito’s family will receive friends on Thurs. March 28th, 9:30-10:45 AM, at Christ the King RC Church, 200 Windsor Ave., Haddonfield, NJ; where her Mass of Christian Burial will follow at 11 AM. Interment, private. In lieu of flowers, memorial contributions in honor of Mrs. Squadrito may be made to the Samaritan Hospice, 5 Eves Dr., Suite 300, Marlton, NJ 08053 (www.samaritanNJ.org) or Alzheimer’s Association SJ Chapter, 3 Eves Dr., Suite 310, Marlton, NJ 08053 (www.alz.org). 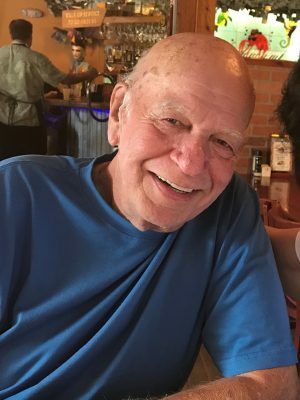 On March 20, 2019; Age 84; Longtime Haddonfield Resident; Beloved husband of Carol (nee Beals); Devoted father of Charlotte and Andrew Faccenda; Dear brother of Pat (Jean) Faccenda. Joe was preceded in death by both his parents and 2 sisters (Mary and Louisa). Joseph served in the US Navy in from 1957 to 1961 and was an electrical engineer for IBM for 33 years. He enjoyed his summers in Avalon, NJ, loved to gamble on the horses, was a member of the American Legion Post #38 and an active member of Christ the King Church. Joseph’s family will receive friends on Saturday, March 30th, 10-11 AM at Christ the King Church, 200 Windsor Ave., Haddonfield, NJ; where his Memorial Mass will follow at 11 AM. Interment private. In lieu of flowers, donations in memory of Joseph can be made to the Wounded Warrior Project, PO Box 758517, Topeka, KS 66675-8517 (https://support.woundedwarriorproject.org/donate). On March 19, 2019; Age 89; Former longtime Haddonfield Resident; Beloved Husband of Joan (nee Truscott); Devoted Father of Scott Cameron Clark (Celia Loneragan) of Sydney, Australia, Jeremy Lynn Truscott Clark (Peggy) of Cherry Hill, NJ and Barry Ewen Clark (Mary) of Tewksbury, MA; Loving Grandfather of Jesse, Kevin, Rebecca, Kelly, David, Emma, Elinor, Olivia and Oliver; Dear Brother of the late Ewen Clark (1993). Mr. Clark grew up in Arbroath, Scotland, attended local schools and Glenalmond College in Perthshire, Scotland. He then studied at the Sorbonne University in Paris, France and graduated from St. Andrews University in St. Andrews, Scotland with an MA in modern languages in 1951. Mr. Clark earned his MBA from Harvard University Business School in Boston, MA, USA in 1953. He served in the US Army from 1954-1956. Mr. Clark was a member of St. Andrew’s Society of Phila. and a longtime member of Tavistock Country Club since 1974. He had a long career in banking in Phila., and was Executive VP of the First Pennsylvania Banking and Trust Corp.
Mr. Clark’s family will greet friends on Saturday, March 23rd, 2-4 PM at Kain-Murphy Funeral Services, 15 West End Ave., Haddonfield, NJ. Services and interment will be private. In lieu of flowers, donations in memory of Mr. Clark can be made to The Cooper Foundation, 3 Cooper Plaza, Suite 500, Camden, NJ 08103. On March 12, 2019, age 69, husband of the late Jean M. (nee Mick); Beloved father of Cindy Lup (Joseph) of Burlington, NJ and Lisa McDowell of Columbus, NJ; Dear step-father of William Smith (Debbie) of FL, Gary Smith of Sicklerville, NJ and Robert Smith (Angela) of London, England; Loving grandfather of Dylan, Taylor, Cassey, Austin & Mia and step-grandfather of Samantha, Amanda and Andrew. Ron’s family will receive friends on Saturday, March 23rd, 10-10:45 AM, at Kain-Murphy Funeral Services, 15 West End Ave., Haddonfield, NJ; where his Memorial Service will follow at 11 AM. Interment, Locustwood Cem., Cherry Hill, NJ. On March 13, 2019, Beloved husband for 49 years of Rosemary (nee Hamilton); Loving father of Jodi Lattiere (Chris) and Vicki Ryan (Joe); Dear brother of Larry and the late Jerry White. He is also survived by his grandchildren, Hannah, Joshua, Emma and Ava, whom he deeply loved & were the light of his life. (nee Nearhoof) On March 12, 2019, formerly a resident of Cherry Hill and Vincentown; wife of the late Oscar D., Jr.; Beloved mother of Richard O. (Joann) of Gibbsboro, Patricia J. Crowley (Matthew) of Gibbsboro and the late James A.; Dear mother-in-law of Dianne Hillman; Loving grandmother of 6: Debbie & Katie Hillman, Daniel (Danielle) Hillman, Lori (Kevin) Boyle, Steven (Kerri) Crowley and Brian (Kelly) Crowley and great-grandmother of 7: Brynn, Jackson, Dylan, Dalton, Corrine, Parker & Owen. Jean was a bus driver for 40 years, worked at the Midlantic Bank in Haddonfield, and was a member of the Haddonfield Grange Club. Jean’s pride and joys of her life were her grandchildren and great-grandchildren. (nee Montanye) On March 12, 2019. Age 88, formerly of Fairton, NJ; graduated in 1948 Bridgeton HS and 1952 Cooper School of Nursing, married John P. in 1954. Survived by 4 daughters, Nancy Crivaro (Michael), Betsy Nusbaumer, Lynn Brandt (Peter) and Sally Seddon (Warren); 10 grandchildren: Leigh Schoepflin (Zach), Adrienne Moreno (Cesar), Claire & Ethan Crivaro, Sarah Thomas (Shawn), Laurel Nusbaumer, Corinne, Colette & Colleen Brandt and Keith Seddon and 1 great granddaughter Kira Thomas. Ruth enjoyed many years nursing at Cooper Hospital, spending time with family, traveling with friends, summers on the pond in Maine, theater, knitting, preparing lunches at church for seniors, circle meetings and exercise classes. Her smile will be missed by family and friends. Ruth’s family will receive friends on Saturday, March 16th from 10-10:45AM at First Presbyterian Church, 20 E. Kings Hwy., Haddonfield, NJ 08033; where her Memorial Service will follow at 11 AM. Internment, private. In lieu of flowers memorial donations may be made to the church at the above address or to Caring Hearts, via the church office. (nee Dressel); On March 7, 2019; Age 84; of Bucks County, PA; Loving mother of Rhonda (Jan Peter) Ilves of Haddonfield, Robert (Julie) and Brian (Beth) Herion. Devoted grandmother of Kevin, Mallory, Sean, Troy, Chelsea, Joshua and Jillian; great grandmother of 3; mother-in-law of Donna Wood; sister of Carolyn Craig, and Aunt to Stephen (Cody) Dressel and Doug (Michelle) Craig. Virginia was a former resident of Phila. and a longtime resident of Churchville-Warminster, Bucks County, PA. She spent her final year in Haddonfield with her daughter and family. She was an avid artist whose interests included wood carving, toll painting and reverse painting on glass. Virginia was a warm and giving person with a generous heart who loved and supported her talented grandchildren. Virginia’s family will greet friends on Friday, March 15th, 10:30-11:45 AM at Kain-Murphy Funeral Services, 15 West End Ave., Haddonfield, NJ, where her funeral service will follow at Noon. Interment private. In lieu of flowers, donations in memory of Virginia can be made to either: Alzheimer’s Association SJ Chapter, 3 Eves Dr., Suite 310, Marlton, NJ 08053 or Samaritan Hospice, 5 Eves Dr., Suite 300, Marlton, NJ 08053.
nee (Herrman); On March 8, 2019; Age 85; formerly of Haddonfield; Beloved wife of the late Rudolph Egberts, Jr.; Devoted mother of Rudy (Pat), Barry (Michele) and Herb (Laura); Loving grandmother of 8 and great-grandmother of 21. Janice grew up in Haddonfield, is a Class of ’51 graduate of HMHS and was on the class reunion committee. She also lived in Medford Lakes, Manahawkin and was a snowbird for 40 years in Pine Island, FL. While in FL Janice was the President of the Alden Pines Golf Course Assoc. and member of FISH, a FL service group. While in NJ, she was a member of the Square Circle Sportsman Club in Gibbsboro. Janice’s family will greet friends on Thursday, March 14th, at 6 PM at Birchfield Community Clubhouse, 1000 Birchfield Dr., Mt. Laurel, NJ 08054, where her Memorial Service will follow at 7 PM. Interment private. In lieu of flowers, donations in memory of Janice can be made to the National Kidney Foundation, 325 Chestnut St., Suite 725, Philadelphia, PA 19106.